Have you ever watched a cooking competition on TV, then walked into your kitchen to prepare dinner? You might have felt inspired, but when your fridge and pantry were filled with the same old ingredients, it’s not easy to come up with creative twists that will wow the family. Here are three celebrity chef-quality ingredients that can be found relatively easily in larger supermarkets, farmers markets or specialty grocery stores. You’ll also want to keep healthy Carotino Red Palm & Canola Oil on hand because it can be used at any cooking temperature, simplifying your cooking processes. • Blood oranges: Blood oranges get their name from their maroon-colored flesh. They aren’t really oranges, but are actually a smaller hybrid of the tangerine and pomelo. Somewhat tart, blood oranges are rich in fiber and vitamin C. They are great in marmalades and vinaigrette-style salad dressings made with Carotino Red Palm & Canola Oil. 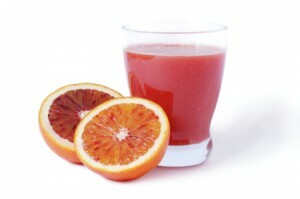 You can also create a tangy and colorful citrus salad by combining them with pink grapefruit, oranges and tangerines. • Leeks: They may look like giant green onions but their flavor is milder. Just be sure to cook leeks: They should never be served raw. Leeks are a very good source of vitamin A, vitamin C, vitamin K, folate and manganese. They are also rich in fiber. An easy way to enjoy leeks is to braise them with a cup of chicken broth, a tablespoon of Carotino Red Palm & Canola Oil and a couple teaspoons of sugar. • Seaweed: Thanks to the popularity of sushi, you can usually find sheets of dried seaweed sold in your supermarket’s Asian food section. Praised for its potential anti-cancer properties, seaweed is remarkably easy to use in the kitchen. Slice it and toss it into soup stocks; or for a unique side dish, use Carotino Red Palm & Canola Oil to sauté it with bok choy and pine nuts, then salt to taste. Tossing a few interesting ingredients into your menu each week will help your family develop a more sophisticated palate, and as important, give them different dietary sources for nutrients.